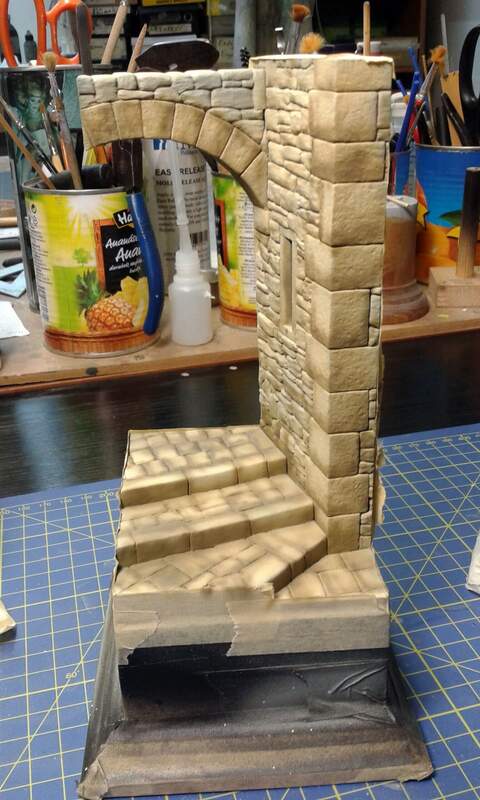 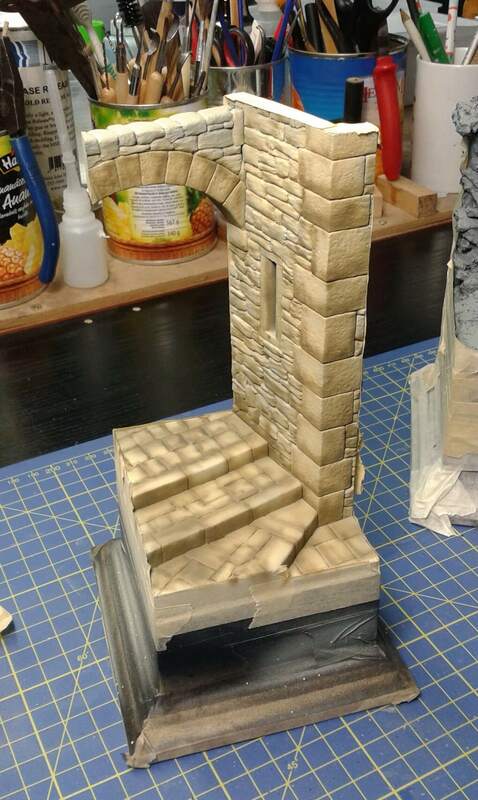 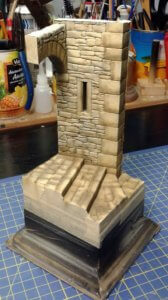 I have begun the painting process of our next release Medieval Italian stairs (from the 10-15th Century) in Scale 54-75mm. 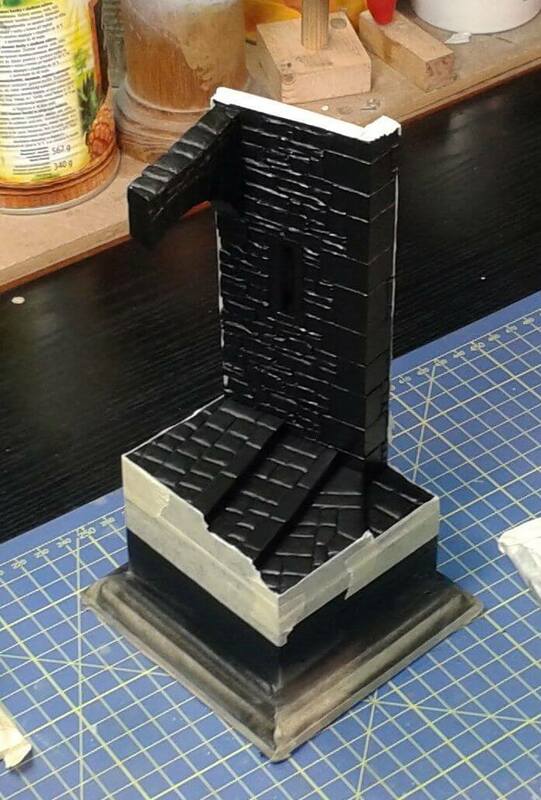 In the first steps I assembled the 3 resin parts and sprayed with black. After masking I worked with airbrush. 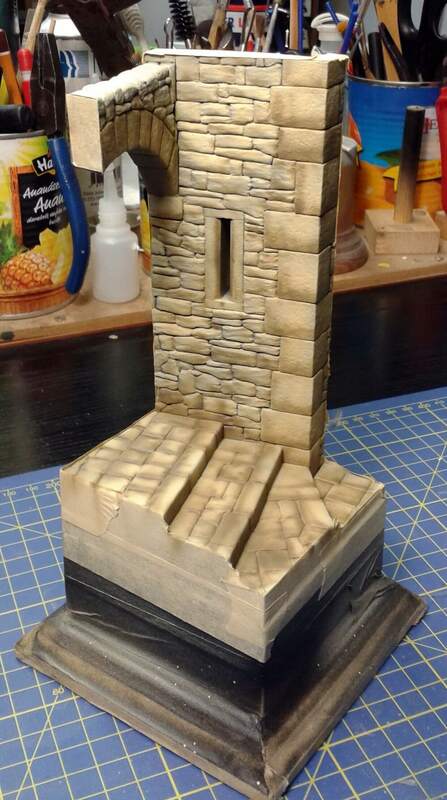 I painted only the base colour and some shades. In the next steps I will work only by brushes.